But I also have a few souvenir corks that hold a more significant meaning. Those from bottles of wine we drank on special occasions. So this year I finally figured out what to do with them. I used them inside some ornaments, so that every time I look at the tree I am reminded of all those great times. There really isn’t much to this project. 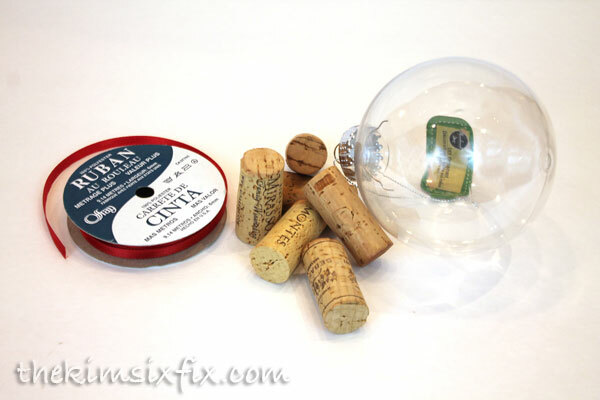 All you need is an empty ornament (make sure the opening is large enough to accommodate your corks), some ribbon and your corks. I think they are adorable. 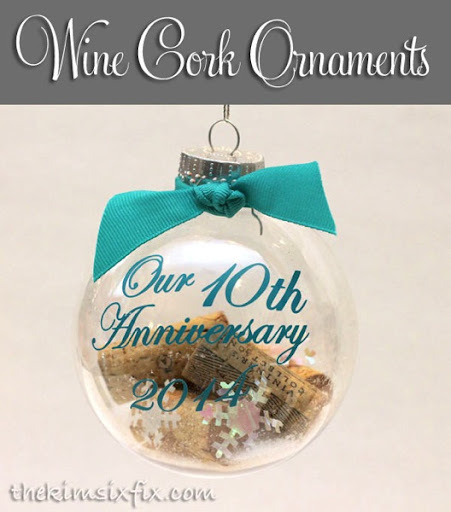 I am planning on saving my corks from New Years Eve this year and start a annual tradition of a cork ornament each year. It seems like a lot of the best times come with wine!